iClickAndHost offers exceptional-quality Joomla web hosting solutions on our own cloud hosting network. 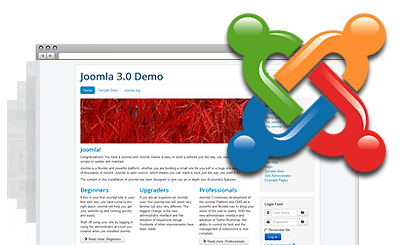 New customers can get an automated Joomla script installation at signup. Different versions supported. Install Joomla with one mouse click from the Hepsia Control Panel. With iClickAndHost you can order a Joomla hosting package along with a brand new domain name for as low as $3.99 a month. If you choose to register a free domain name, it will be free for ever. With iClickAndHost you can host your new Joomla web site in the United States, Europe / United Kingdom or Asia and Australia and now for Central / Eastern Europe / Middle East / North Africa in our Sofia, Bulgaria data center! Simply select your desired location at checkout. Create a Joomla web site in no time with iClickAndHost! iClickAndHost runs a fast cloud web hosting environment. iClickAndHost offers an outstanding client support service. An excellent hosting plan for a simple website such as a blog or a portfolio. A moderately priced website hosting package, excellent for a business site or an online store. This solution is the best choice if you plan to design several websites and to host them in one shared hosting account. What makes iClickAndHost Joomla hosting different? Our custom built Hepsia Control Panel is packed with functionality and intuitivse interface, providing full control with single log-in. Domain Management, Web Site Management, File Management, E-Mail management, Invoice Management, Support Center access, Advanced Tools and so much more... Our control panel is mobile-friendly giving you full control of your websites, even when on the go. Click to experience a fully functional Hepsia Control Panel Live Demo. We love Joomla! We have dedicated, fast and secure, Joomla optimized servers, part of our own cloud network. All servers automatically balance their loads and are configured especially to handle Joomla. All the popular plugins run smoothly and can handle much more visitors than the average shared host. Free themes are available as well. If you are looking to move from your current slow Joomla host, just let us know and we will move your Joomla website over to iClickAndHost free of charge! We have plenty in our hat for the advanced user: NodeJs, Varnish, Memcached, innoDB engine, PostgreSQL, Remote SQL, PHP version chooser (ver 5.2 to PHP 7), custom PHP.ini configurator, FrontPage, AJAX, CGI, Ruby, Rails support; e-mail SPAM filters, configurable firewall , SiteMap generator, password protected areas and so much more. See all the Hepsia Control Panel Advanced Features. We are developer friendly!